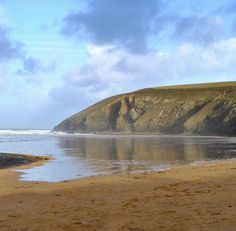 Raintree House Holidays specialise in letting houses at six picturesque beaches surrounding Padstow and Trevose Head. All are within walking distance of these special beaches & many have sea views. Alongside our beach houses, we also have a growing selection of Cotswold Cottages perfect for exploring this equally beautiful area. The Cotswolds make the perfect base for a country break. 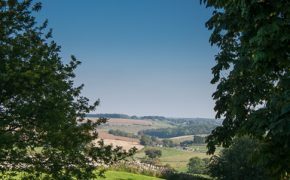 If you are more Countryside than Seaside then where better to get out and enjoy the great British outdoors – take a look. Rumah Panjang is brand new (pictured to the right)! 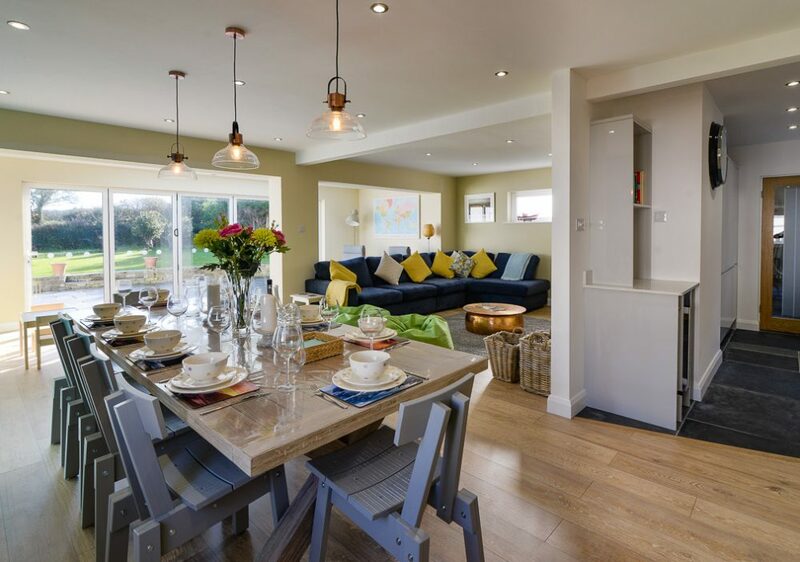 Its a smart new 5 bedroom house near the beach at Trevone. 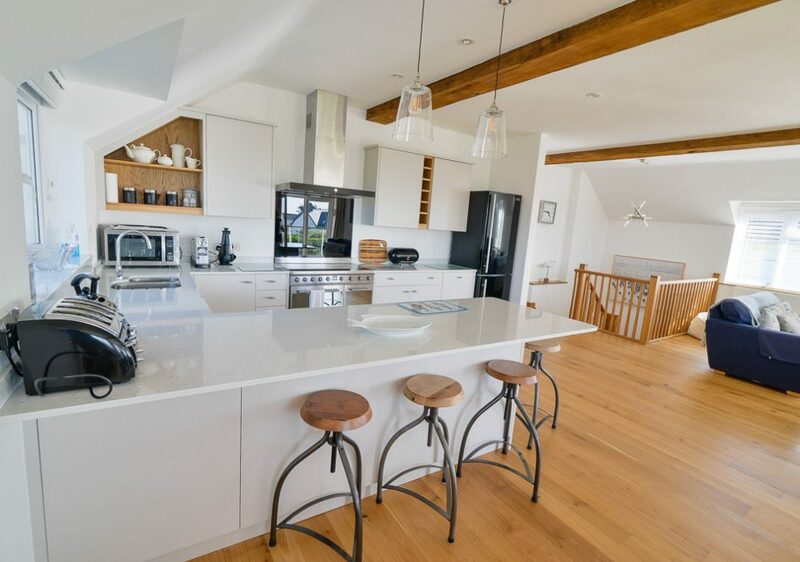 5 bedrooms, 3 bathrooms, large open plan living area, and smart kitchen – perfect. We think its great! Beachcombers has had a wonderful refurb – moved front door, brand new great King room, underfloor heating throughout, and great bedrooms. Don’t leave it…houses are getting booked up! Or summer weeks? early-mid July to the beginning of September? 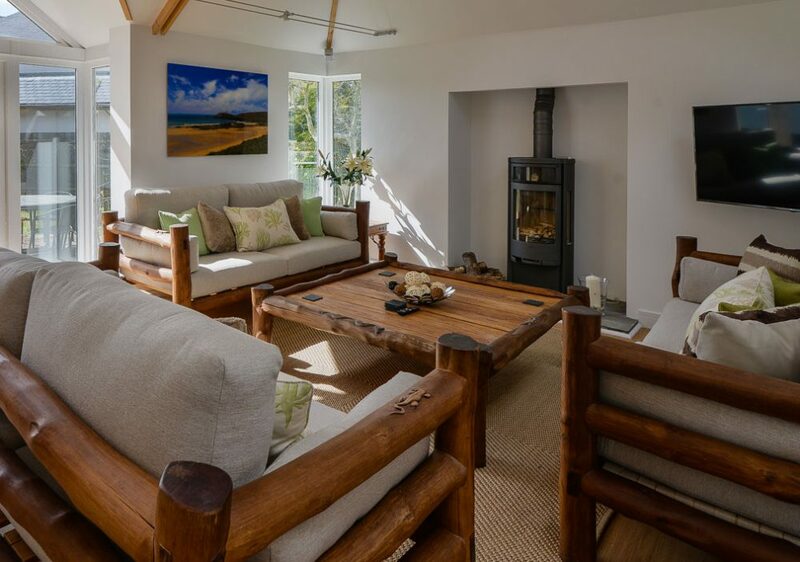 Wrap around sea views at Trenouth, overlooking the sea on the south side of Treyarnon.